WHO OUT THERE WANTS A LUXURIOUS . . . LOADED UP . 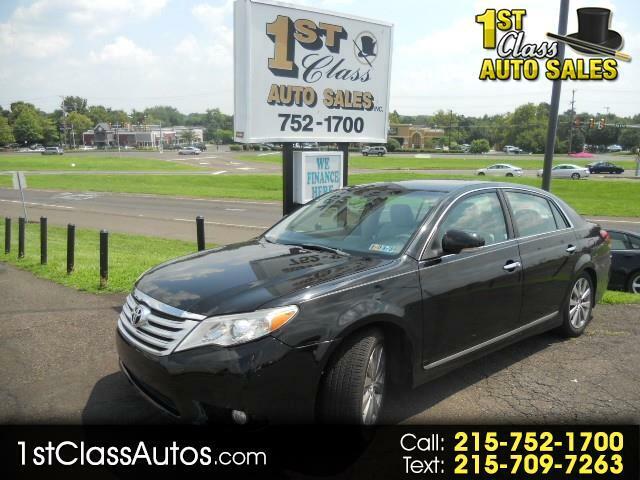 . . . . TOYOTA AVALON WITH ALL THE RIGHT STUFF AND LOW LOW MILES TO BOOT !!! THIS IS CERTAINLY A RIDE YOU WOULD BE HAPPY TO CALL YOUR OWN . . . . WITH HEATED / POWER / LEATHER SEATS . . . . POWER WINDOWS . . . . MAG WHEELS . . . . 6 DISC CD PLAYER . . . . AND YES ONLY 60,000 MILES !!! THIS IS A CAR YOU CAN HAVE FOR THE NEXT 10 YEARS OR SO AND YOU'LL BE HAPPY DRIVING IT TOO !!! LUXURY AND SPORTY . . . . THE BEST OF BOTH !! !